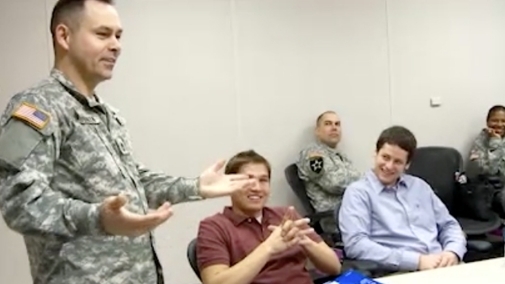 As an Army physician you’ll get to practice in an environment without the distractions of the “business” side of the profession. That’s because you’ll practice medicine in one of the few places in the world where comprehensive patient care is the top priority. Insurance companies never dictate the course of treatment – Army physicians do. And, unlike the private sector, there are no malpractice insurance premiums, staffing issues or overhead costs for you to worry about. When you enter the U.S. Army as a commissioned officer, you become part of the largest and most esteemed health care organization in the world.To provide the highest level of quality patient care, we give you every opportunity to perfect your specialty. We’ll help you to stay abreast of the newest developments, techniques and latest trends through continuing education courses, seminars and conferences that will help you expand your knowledge and further your career. You’ll work with men and women who pioneer innovative medical techniques and breakthroughs. You’ll be given the opportunity to contribute to medical research. And most important of all, you’ll care for Soldiers and their families in some of the world’s most renowned hospitals, clinics and facilities. You also have the option of serving as an active duty physician or in the U.S. Army Reserve. Serving in the reserve gives you the option of working in the private sector while gaining the benefits and experience of serving on the Army health care team. To find out more about becoming an Army physician, contact a recruiter. Army physicians benefit from the service’s commitment to an excellent quality of life. From 30 days’ paid vacation to comfortable on-base housing, and more, the U.S. Army offers many benefits designed to improve your quality of life. The Army Medical Corps offers practice opportunities for physicians in more than 40 specialty and subspecialty areas—from allergists to urologists. You’ll be part of a truly integrated health care team, working with professionals who are passionate about their work and dedicated to providing the highest standard of patient care to our Soldiers and their families. Meet some of the dedicated physicians and surgeons that are members of the Army health care team. The Army Medical Corps contains over 40 specialties, including internal medicine, neurosurgery, pathology, anesthesiology and psychiatry. 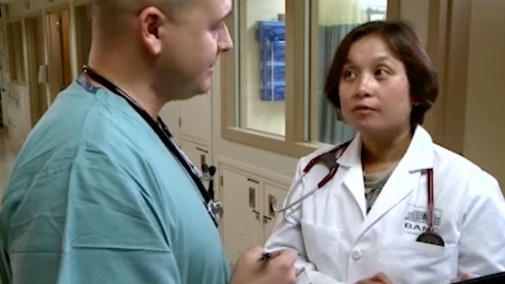 As a physician and officer, you'll do much more than practice medicine. You’ll be trained as a leader and you'll be given the opportunity to participate in pioneering medical discovery and research. Learn more.